The North American Free Trade Agreement, or NAFTA, is a three-country accord negotiated by the governments of Canada, Mexico, and the United States that entered into force in January 1994. NAFTA’s terms, which were implemented gradually through January 2008, eliminated most tariffs on products traded between the three countries. Liberalization of trade in agriculture, textiles, and automobile manufacturing was a major focus. The deal also sought to protect intellectual property, establish dispute resolution mechanisms, and, through side agreements, implement labor and environmental safeguards. NAFTA fundamentally reshaped North American economic relations, driving unprecedented integration between Canada’s and the United States’ developed economies and Mexico’s developing one. In the United States, NAFTA enjoyed bipartisan backing; it was negotiated by Republican President George H.W. Bush, passed a Democratic-controlled Congress, and was implemented under Democratic President Bill Clinton. It encouraged regional trade to more than triple, and cross-border investment between the three countries also grew significantly. Yet NAFTA has remained a perennial target in the broader debate over free trade. President Donald J. Trump says it has undermined U.S. jobs and manufacturing, and in October 2018 his administration struck a deal with Canada and Mexico on an updated version of the pact, to be known as the U.S.-Mexico-Canada Agreement, or USMCA. How does NAFTA fit into the broader debate over trade policy? NAFTA's goal was the integration of Mexico with the highly developed economies of the United States and Canada. NAFTA also ushered in a new era of regional and bilateral free trade agreements (FTAs), which have proliferated as the World Trade Organization’s (WTO) global trade talks have stagnated. NAFTA also pioneered the incorporation of labor and environmental provisions in U.S. trade agreements, provisions which have become progressively more comprehensive [PDF] in subsequent FTAs. Economists largely agree that NAFTA has provided benefits to the North American economies. Regional trade increased sharply [PDF] over the treaty’s first two decades, from roughly $290 billion in 1993 to more than $1.1 trillion in 2016. Cross-border investment has also surged, with U.S. foreign direct investment (FDI) stock in Mexico increasing in that period from $15 billion to more than $100 billion. But experts also say that it has proven difficult to tease out the deal’s direct effects from other factors, including rapid technological change, expanded trade with other countries such as China, and unrelated domestic developments in each of the countries. Debate persists regarding NAFTA’s legacy on employment and wages, with some workers and industries facing painful disruptions as they lose market share due to increased competition, and others gaining from the new market opportunities that were created. Such upsides of trade often escape notice, because while the costs are highly concentrated in specific industries like auto manufacturing, the benefits of a deal like NAFTA are distributed widely across society. Supporters of NAFTA estimate that some fourteen million jobs rely on trade with Canada and Mexico, while the nearly two hundred thousand export-related jobs created annually by the pact pay 15 to 20 percent more on average than the jobs that were lost. Critics of the deal, however, argue that it is to blame for job losses and wage stagnation in the United States, driven by low-wage competition, companies moving production to Mexico to lower costs, and a widening trade deficit. The U.S.-Mexico trade balance swung from a $1.7 billion U.S. surplus in 1993 to a $54 billion deficit by 2014. Economists like the Center for Economic and Policy Research’s (CEPR) Dean Baker and the Economic Policy Institute argue that this surge of imports caused the loss of up to 600,000 U.S. jobs over two decades, though they admit that some of this import growth would likely have happened even without NAFTA. Many workers and labor leaders point to these numbers to blame trade, including NAFTA, for the decline in U.S. manufacturing jobs. The U.S. auto sector lost some 350,000 jobs since 1994—a third of the industry—while Mexican auto sector employment spiked from 120,000 to 550,000 workers. CEPR’s Baker argues that econometric research shows that increased trade also puts downward pressure on wages for non-college educated workers, who are more likely to face direct competition from low-wage workers in Mexico. But other economists like Gary Clyde Hufbauer and Cathleen Cimino-Isaacs of the Peterson Institute for International Economics (PIIE) emphasize that increased trade produces gains for the overall U.S. economy. Some jobs are lost due to imports, but others are created, and consumers benefit significantly from the falling prices and often improved quality of goods created by import competition. A 2014 PIIE study of NAFTA’s effects found that about 15,000 jobs on net are lost each year due to the pact—but that for each of those jobs lost, the economy gains roughly $450,000 in the form of higher productivity and lower consumer prices. Many economists also assert that the recent troubles of U.S. manufacturing have little to do with NAFTA, arguing that manufacturing in the United States was under stress decades before the treaty. Research by David Autor, David Dorn, and Gordon Hanson published in January 2016 found [PDF] that competition with China had a much bigger negative impact on U.S. jobs since 2001, when China joined the WTO. Hanson, an economist and trade expert at the University of California, San Diego, says that the steepest decline in manufacturing jobs, which fell from seventeen million to eleven million between 2000 and 2010, is mostly attributable to trade with China and underlying technological changes. “China is at the top of the list in terms of the employment impacts that we found since 2000, with technology second, and NAFTA far less important,” he says. In fact, says Hanson, NAFTA helped the U.S. auto sector compete with China. By contributing to the development of cross-border supply chains, NAFTA lowered costs, increased productivity, and improved U.S. competitiveness. This meant shedding some jobs in the United States as positions moved to Mexico, he argues, but without the pact, even more would have otherwise been lost. “Because Mexico is so close, you can have a regional industry cluster where goods can go back and forth. The manufacturing industries in the three countries can be very integrated,” he says. These sort of linkages, which have given U.S. automakers an advantage in relation to China, would be much more difficult without NAFTA’s tariff reductions and protections for intellectual property. How has it affected the Mexican economy? NAFTA gave a major boost to Mexican farm exports to the United States, which have tripled since NAFTA’s implementation. Hundreds of thousands of auto manufacturing jobs have also been created in the country, and most studies have found [PDF] that the pact had a positive impact on Mexican productivity and consumer prices. 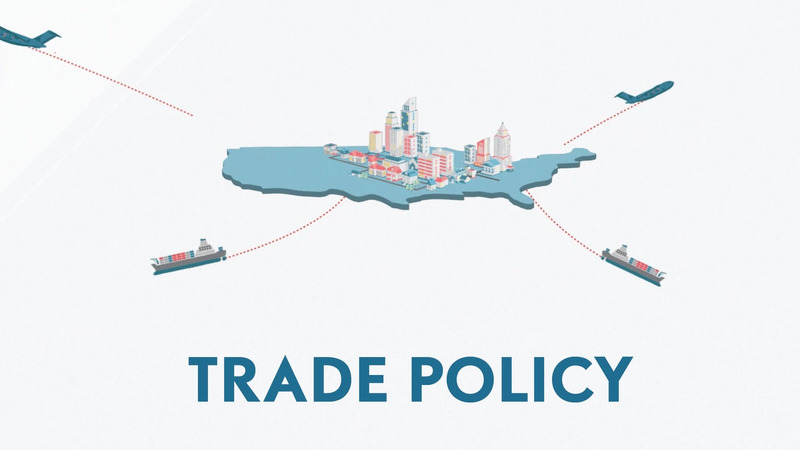 The pact was the continuation of a decade of economic liberalization that saw the country transition from one of the world’s most protectionist economies to one of the most open to trade. Mexico had reduced many of its trade barriers upon joining the General Agreement on Tariffs and Trade (GATT), the precursor to the WTO, in 1986, but still had a pre-NAFTA average tariff level [PDF] of 10 percent. Mexican policymakers saw NAFTA as an opportunity to both accelerate and “lock in” these hard won reforms to the Mexican economy. In addition to liberalizing trade, Mexico’s leaders reduced public debt, introduced a balanced budget rule, stabilized inflation, and built up the country’s foreign reserves. Thus while Mexico was hard hit [PDF] by the 2008 U.S. recession due to its dependence on exports to the U.S. market—in 2009 Mexican exports to the United States fell 17 percent while its economy contracted by over 6 percent—its economy was able to bounce back relatively quickly. Mexico returned to growth in 2010, its GDP expanding over 5 percent, and subsequently falling to around 2 percent in 2014 and 2015. But Mexico’s NAFTA experience has suffered from a disconnect between the promises of some of its supporters—that the pact would deliver rapid growth, raise wages, and reduce emigration—and the deal’s more mixed outcomes. Between 1993 and 2013, Mexico’s economy grew at an average rate of just 1.3 percent a year during a period when Latin America was undergoing a major expansion. Poverty remains at the same levels as in 1994. And the expected “wage convergence” between U.S. and Mexican wages didn’t happen, with Mexico’s per capita income rising at an annual average of just 1.2 percent in that period—far slower than Latin American countries such as Brazil, Chile, and Peru. Many analysts explain these divergent outcomes by pointing to the “two-speed” nature of Mexico’s economy, in which NAFTA drove the growth of foreign investment, high-tech manufacturing, and rising wages in the industrial north, while the largely agrarian south remains detached from this new economy. As University of Pennsylvania economist Mauro Guillen argues, Mexico’s rising inequality stems from NAFTA-oriented workers in the north gaining much higher wages from trade-related activity. Ultimately, many experts caution, Mexico’s recent economic performance has been affected by many non-NAFTA factors. The 1994 devaluation of the peso drove Mexican exports, while competition with China’s low-cost manufacturing sector [PDF] likely depressed growth. Unrelated public policies, such as land reform, made it easier for farmers to sell their land and emigrate. As UCSD’s Hanson has argued [PDF], Mexico’s struggles have largely domestic causes: poorly developed credit markets, a large and low-productivity informal sector, and dysfunctional regulation. What impact has it had on Canada? Canada has seen strong gains in cross-border investment in the NAFTA era: Since 1993, U.S. and Mexican investments in Canada have tripled. U.S. investment, which accounts for more than half of Canada’s FDI stock, grew from [PDF] $70 billion in 1993 to over $368 billion in 2013. However, the most consequential aspect for Canada—opening its economy to the U.S. market, by far Canada’s largest trading partner—predated NAFTA, with the 1989 entry into force of the Canada-U.S. Free Trade Agreement (CUSFTA). Overall Canada-U.S. trade increased rapidly in the wake of Canada’s trade liberalization. Post-NAFTA, Canadian exports to the United States grew [PDF] from $110 billion to $346 billion, while imports from the United States grew by almost the same amount. Agriculture, in particular, saw a boost. Canada is the leading importer of U.S. agricultural products, and one of NAFTA’s biggest economic effects for Canada has been to increase bilateral U.S.-Canada agricultural flows. Canadian agricultural trade with the United States more than tripled since 1994, as did Canada’s total agriculture exports to NAFTA partners. Neither the worst fears of Canada’s trade opponents—that opening to trade would gut the country’s manufacturing sector—nor its highest hopes—that it would spark a rapid increase in productivity—came to pass. Canadian manufacturing employment held steady, but the “productivity gap” between the Canadian and U.S. economies wasn’t closed: Canada’s labor productivity remains at 72 percent [PDF] of U.S. levels. The deal has long been a political target. In 2008, then–presidential candidate Barack Obama responded to widespread trade skepticism among the Democratic base by promising to renegotiate NAFTA to include tougher labor and environmental standards, a pledge he subsequently abandoned. The issue resurfaced in the 2016 presidential campaign, with both Senator Bernie Sanders (I–VT) and Donald Trump criticizing the pact for bringing U.S. job losses. Among policy experts, much of the debate has centered on how to mitigate the negative effects of deals like NAFTA, whether by compensating workers who lose their jobs or providing retraining programs to help them transition to new industries. Experts say programs like wage insurance, which would guarantee laid-off workers a portion of their previous salaries for a set period, or federal Trade Adjustment Assistance (TAA), which helps workers pay for education or training to find new jobs, could help quell anger directed at trade liberalization. There are pockets that have felt lots of pain. The existence of those pockets highlights our policy failures. Eschewing these policy proposals, however, President Trump instead made good on his campaign promise to renegotiate NAFTA, and the three countries kicked off formal negotiations in August 2017. Trump used tariffs as bargaining leverage throughout the process, applying import tariffs on steel and aluminum in early 2018 and threatening to do the same with autos. Trump’s demands included higher standards for the auto industry, more access to Canada’s highly protected dairy market, better labor protections, dispute resolution reform, and new rules for intellectual property and digital commerce. In August 2018, the administration struck a deal with Mexico, and the following month Canada agreed to new terms as well. In the updated pact, which Trump has labeled the U.S.-Mexico-Canada Agreement (USMCA), the parties settled on a number of changes. Rules of origin for the auto industry were tightened, requiring 75 percent of each vehicle to originate in the member countries, up from 62.5 percent. New labor stipulations were added, requiring 40 percent of each vehicle to come from factories paying at least $16 an hour. Trump backed down on his threats to apply tariffs on Canadian and Mexican auto imports; the existing steel and aluminum tariffs, however, were not lifted. Meanwhile, protections for U.S. pharmaceuticals and other intellectual property were strengthened. As part of the deal, Canada agreed to allow more access to its dairy market, a central Trump demand. In return it won several concessions. The USMCA will keep the Chapter 19 dispute panel that Canada relies on to shield it from U.S. trade remedies. It will also avoid Trump’s proposed five-year sunset clause, and instead have a sixteen-year timeframe, with a review after six years. To take effect, the deal will have to be approved by all three countries’ legislatures; the earliest that the U.S. Congress could vote would be early 2019. This 2017 Congressional Research Service report explains the history of NAFTA and its effects over twenty years. Economists David Autor, David Dorn, and Gordon Hanson weigh the impact of trade with China and Mexico on the U.S. labor market in this 2016 National Bureau of Economic Research paper. Former U.S. Trade Representative Carla Hills explains the economic upsides of NAFTA from the U.S. perspective in Foreign Affairs. The issue also includes essays on the views from Mexico and Canada. The Economist examines the progress of NAFTA after twenty years in this 2014 report. 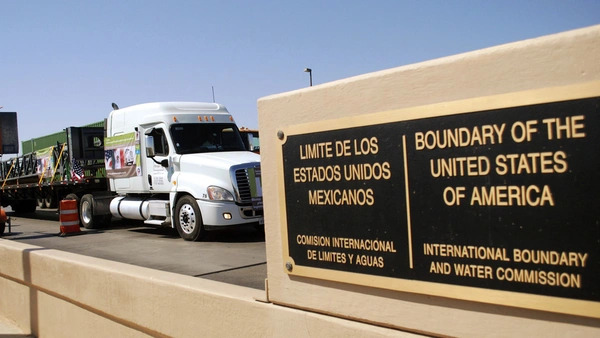 This 2014 analysis from the University of Pennsylvania’s Wharton School evaluates the costs and benefits of NAFTA for the U.S. and Mexican economies. Claims on both side of the NAFTA debate have been overblown, argues this 2014 research overview by the Peterson Institute for International Economics.